Martin J. 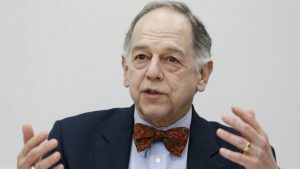 (Marty) Oberman, 73, an attorney and perennial fixture in Chicago and Illinois Democratic politics, is President Trump’s choice to fill a vacant Democratic seat on the five-member Surface Transportation Board (STB). He must be confirmed by the Senate.